Her infectious energy and excitement comes through even on a phone call, and one can clearly make out that Malini Agarwal is thrilled about the return of Miss Malinia��s World on television. a�?I am so excited! Wea��re obviously going to up the game from the last season, and this time around, ita��s not only a behind-the-scenes of Bollywood but about fashion, beauty and fitness,a�? she begins, adding that of course, there will be still be drama and lots of a�?firstsa�� on the show. 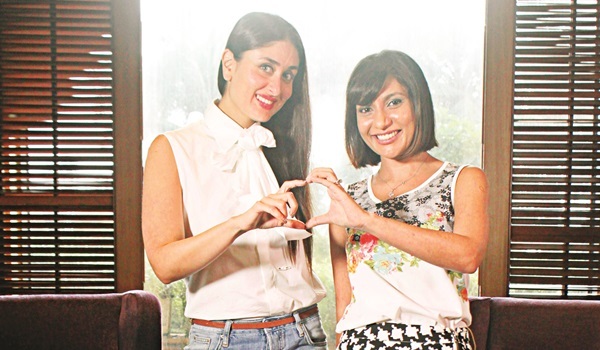 being married to Nawab Saif Ali Khan,a�? shares Agarwal. Then, the first of the firsts on the show, style diva Kangana Ranaut invites the Miss Malini team into her home. a�?This is the first time Kangana has done that, which makes it even more exciting for us. Shea��ll share her take on movies, media, cosmetics and everything in between,a�? she tells us. In their attempt to connect with the audience, Agarwal explains that their episodes will also have something for the audience to take away. a�?Pallavi Symons, the makeup expert, will tell you how to get the sensual Kareena eyes, or the dewy Deepika Padukone look. We even have tips on how to take the best selfie, how to style yourself,a�? says the blogger and host (courtesy HTC and Vero Moda), elaborating that their collaboration with the music app Saavn will tell you how to curate a playlist for a workout session or to wind down. And while Agarwal a�?absolutelya�� loves being in front of the camera, she is equally loyal to her laptop. a�?One thing I dislike about filming is the time between setup and shoot. So I conveniently bring along my laptop and while waiting, I blog!a�? she reveals. Shah Rukh Khan comes back to the show too, and you can even expect a game of charades with action hero Akshay Kumar and sugar boy Sidarth Malhotra.